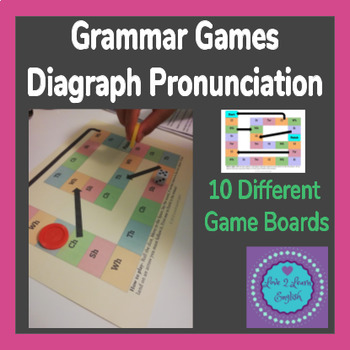 10 different speaking board games to practice different diagraphs. 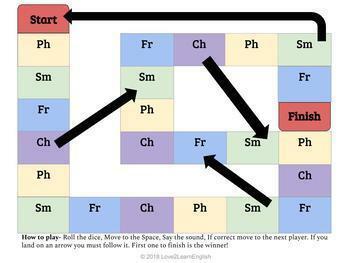 Easy to follow and fun to play for all ages. Ready to print and go. 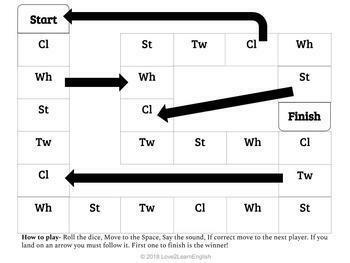 All ages and levels of English, a great reusable resource for the classroom. 10 color game boards and 10 printer friendly black and white boards. 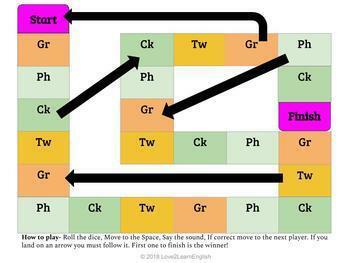 Love2LearnEnglish specializes in ESL/EFL and Theater resources, games and scripts. Check out some more of my work here. Thank you very much for your interest in my products. If you like and have enjoyed using my resources please leave feedback on this product. In doing so you also get rewarded with TPT credits. So we all win! This product is for your personal and your classroom use only. It is to be used by the original downloader only. Copying or distributing for more than one teacher is prohibited.